up with the flow of traffic and were singled out, pulled over and given a speeding ticket while others sped past. Or perhaps you were wrongly identified as the speeder when it was car passing you by. 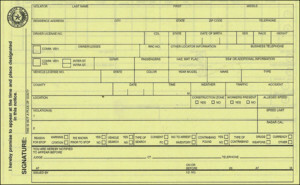 Usually, however, our clients are actually rightfully ticketed because they in fact were speeding. Whatever the reason, hiring a traffic attorney usually results in saving money on the cost of related fines and surcharges, and keeps your record clean and insurance premiums from rising in the future. There are two primary types of traffic offenses – moving and non-moving violations. A moving violation means the citation was issued for something having to do with the control of the automobile The prime example of a moving violation is speeding. Others include failure to come to a complete stop at a stop sign, running a red light, and following too closely. A non-moving violation means the infraction has to do with something other than control of movement, such as equipment problems like a brake light that is out, expired registration, or failure to carry valid insurance or a valid driver license. These offenses are considered least serious and carry no jail time, except you can be arrested for committing them (except for speeding and open container of alcohol), or after you have missed a court date or an agreed payment date. The punishment for the crime is by a fine only. Of course, for holders of commercial driver licenses, a conviction for even one of these can be the end of a professional driving career. An unsafe lane change, running a red light, or even rolling through a stop sign are examples of traffic ticket kinds of cases. Even if clearly guilty, and most tickets are issued because the driver is indeed guilty. an experienced attorney gives the motorist the best chance of getting the charge dismissed. Motorists facing a misdemeanor driving charge that carries a possible jail sentence should never try to resolve their case without legal representation. Violations like driving while intoxicated (whether under the influence of alcohol and/or drugs, whether prescribed or not), racing and reckless driving are types of misdemeanor traffic charges that carry potential jail time. So is driving while a license is invalid under certain circumstances. Drivers could also be looking at losing their license as well as incurring expensive surcharges, so legal representation is advisable under these circumstances. Of course, convictions remain permanently on both national and state criminal records, as well as the offenders driving record maintained by the Texas Department of Public Safety. These are the most serious types of traffic infractions. Hit-and-run incidents with a fatality, vehicular homicide, evading arrest, and the arrest of a three times or more repeat DWI offender are all examples of what could result in a felony traffic charge. Penalties like an extended stay in prison, hefty fines and driver license suspensions come with a felony conviction. A lawyer experienced with these types of cases will fight to have the charges reduced or possibly even dropped. When motorists get a traffic ticket, the driver often thinks they can just pay the fine and be done with it. But this isn’t always the end of it. Moving violations go on their driving record, and that can cause their insurance rates to go up or even result in cancellation or suspension of a driver license. And that is just one of many scenarios a traffic ticket lawyer can help a motorist avoid. They will offer the best advice. Once an attorney hears the circumstances surrounding the case, they can contemplate your position legally, and then provide the best possible course of action. 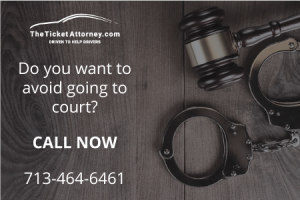 A traffic attorney who knows the judge or prosecutors in the jurisdiction where the ticket was issued may be able to talk to them beforehand and get everything resolved. That might include having the charge reduced or even dropped, which is the outcome a motorist is looking for when challenging a traffic ticket. They may even be able to arrange it so the ticketed motorist doesn’t have to come to court. An experienced traffic lawyer can present a much more effective defense in front of a judge or jury than most any motorist untrained in the law and procedures of a particular traffic court. A traffic lawyer can calmly present your case, thoroughly explaining what happened. And they are sharp enough to spot the one or two important points that can turn the decision in the motorist’s favor. Even receiving a minor traffic violation can have a negative impact, especially if you have had another ticket or two in the past one to three years. Your driving privileges can be in danger after several minor offenses. The best way to avoid this is to speak with an attorney and determine your options.